As I look through my articles from January I see that it was a pretty mellow month or the calm before the storm if you prefer. I would have to say my personal highlight of the month was a Sunday afternoon that we spent visiting several of the Orange County craft brewery tasting rooms and brewpubs. 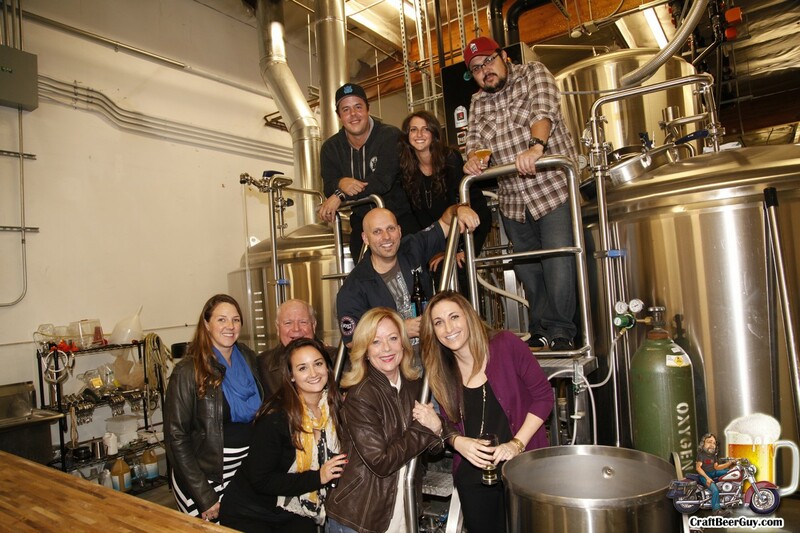 The day included stops at Bootlegger’s Brewery, Taps Fish House & Brewery, Noble Ale Works, Tustin Brewing Company and Brewbakers. Each of these stops were first time visits and I would not have a problem recommending any of them. 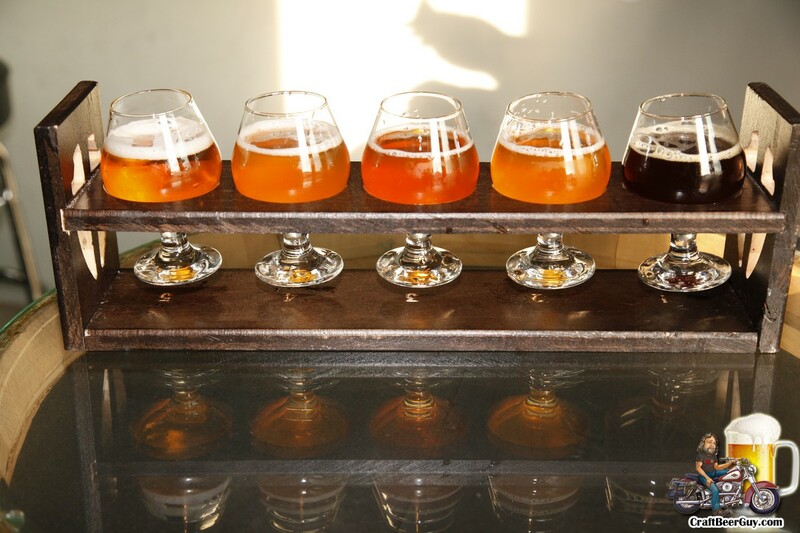 The thing is, in the past year Orange County has opened so many new tasting rooms and brewpubs that it is getting tough to try and keep up with them all; but I will try. February was a special month for me as Craft Beer Guy was hired to go up to Santa Rosa for the Pliny the Younger Release. I decided that since I needed to be in Santa Rosa early on Friday morning I should go ahead and leave a couple days early and do some exploring. This resulted in a five day, 20 brewery tour with visits to world famous breweries such as Russian River Brewing, Drake’s Brewing, Lagunitas Brewing and Firestone Walker. While there is no doubt that those four breweries would have been worth the trip on their own, it was the discovery of places I had never heard of that really made the trip fun. Highlights would include Full Circle Brewing Company, a microbrewery that has been operating for 15 years right off CA Hwy 99 in Fresno; Fogbelt Brewing Company, a brewpub in Santa Rosa that was still having their soft open at the time of our visit; the recently opened Faction Brewing in Alameda and BarrelHouse Brewing Company, a microbrewery in Paso Robles that had been open for almost a year. To be honest, it would be redundant to list all of the great places we stopped at when you can just check out the articles and photos yourself. I could have spent the month covering craft beer between LA and Santa Rosa. 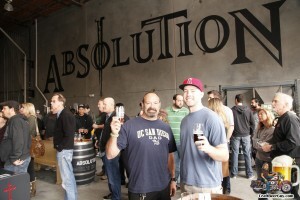 March 2014 was a good month for the craft beer scene in the South Bay as two new production breweries opened their tasting rooms to the public; the first being Absolution Brewing Company in Torrance. They got off to a slightly shaky beginning as a reporter for the local newspaper could not get his facts right and announced that the doors would open two hours earlier than scheduled; this resulted in Absolution having a line of people waiting to get in by the time the owners arrived to prepare for the opening. This resulted in several of the 10 brews that were on the tap list tapping out a couple hours earlier than expected. While there were some disappointed faces, people appear to have gotten over it as Absolution Brewing always seems to have a pretty decent group in their tasting room. 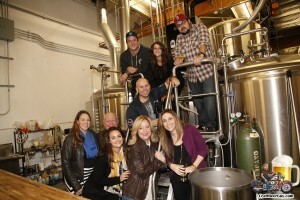 A couple weeks later, King Harbor Brewing Company had their official grand opening. As it happens, I was in Tempe, AZ for another event so I was unable to attend the grand opening but by all accounts it was a very good time. No one in the South Bay can deny that King Harbor Brewing made an immediate impact on the South Bay craft beer scene as their Quest Pale Ale seemed to be everywhere overnight. April was a pretty busy beer month around here with ribbon cuttings being held at Absolution Brewing Company, King Harbor Brewing Company and Pac City Brewery. Pac City also holds the distinction of being the only brewery, so far, to name a beer after me with their Lloyd’s Hazel Nuts, a brown ale that includes, you guessed it, hazel nuts; it was pretty good. 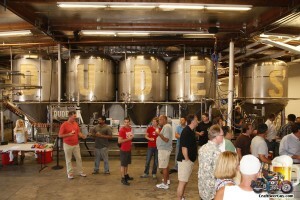 I made several self-guided beer tours including the Inland Empire, the Phoenix, Arizona area and Temecula. It seems that wherever I went there were new breweries popping up; some essentially across the street from each other. 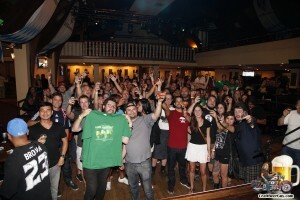 May was another busy month, due in large part to the 9th Annual American Craft Beer Week which meant seven days of visiting local craft beer establishments and also included the 1st Anniversary of Smog City’s opening of their production brewery in Torrance. Other events that stand out were the one year anniversary of Beer Paper LA, The Dudes’ Brewing received a Conditional Use Permit to open their tasting room and Strand Brewing Company co-owner and head brewer Joel Elliott did a 328 mile bicycle ride to bring awareness to his daughter’s diagnosed Selective Mutism. The highlight of the month had to be The Bruery’s Sucréversary, a sixth anniversary that included some of the best breweries in California. It was an honor to attend and cover the event. June brought the beginning of the craft beer festival season and I had the opportunity to visit a couple new production breweries that opened east of here. One of my favorite discoveries was Progress Brewing located in South El Monte. They had been opened less than a year at the time and had a solid tap list of 10 brews and it appeared that they were a very welcome addition to the neighborhood. Additional events included the South Bay Progressive’s second “pub crawl” which included five South Bay venues that specialize in craft beer; Naja’s Place held their 6th Annual IPA Festival and the first Home Made Brew & Food Festival was held to commemorate the second anniversary of Crafted, Southern California’s largest permanent market for handmade goods. 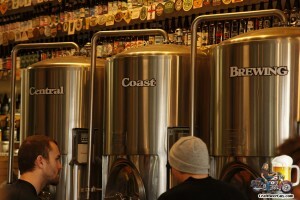 Home brew clubs, including The Crude Brew Crew, Long Beach Homebrewers, Yeastside Brewers, Maltose Falcons, F.E.R.M. Club and Strand Brewers Club provided plenty home brewed goodness. My birthday happens to fall in July, so naturally I like to do something a little special that month. This year, the Alpine Village in Torrance held their Euro Bierfest 2014 on my birthday; it was purely coincidental. Not to be confused with their long-running Oktoberfest or the newer Alpine Kraft Bierfest, this event featured more than 50 beers from France, Belgium, Italy, Germany, Iceland, England, Czech Republic and Sweden. I would guess that there were 300-400 attendees and it made for the best birthday party I can remember having. July also saw the Beachwood BBQ & Brewing 3rd Anniversary Celebration; Absolution Brewing Company had a private party for their MUG Club members and Smog City Brewing held their third Battle of the Casks. Assistant Brewer Chris Walowski won the first two competitions but newcomer Daniel White’s Guava, Passion Fruit and Orange Zest with Mosaic Hops beat out Walowski by a mere three votes. I ended July by releasing the Craft Beer Guy Mobile App. If you have not downloaded this free app you should as free beers are given away via the app on a fairly regular basis. August was one of those months that the craft beer seemed to flow endlessly from literally hundreds of taps. Of course, this was probably due to the numerous beer festivals that were held in the area. In 2014 I decided that I could not attend every craft beer event that I was invited to, and when I look over the list of events I did attend it made sense; after all, how much beer can one person responsibly drink? 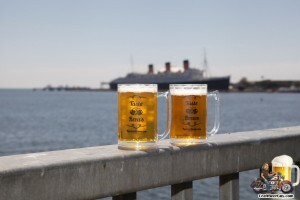 The beer festivals I attended in August included the 4th Annual Brew at the LA Zoo and the 4th Annual Taste of Brews at Lighthouse Park in Long Beach. I also headed out to Lancaster for visits to Kinetic Brewing and Bravery Brewing for the 2014 Antelope Valley Fair Home Brew Competition Awards Ceremony. August ended with our attending a couple Firestone Tap Takeovers and my first visit to Bottle Logic Brewing and Pacific Plate Brewing Company. I would have to say that the big news for the month of September, at least around here, was that The Dudes’ Brewing Company finally opened their tasting room. It was pretty obvious that the public has been awaiting this with baited breath. The grand opening was scheduled for 3:00 PM on a work day and they had a line of people waiting to get in a good hour ahead of time. There have been many changes in the past couple of months so if you have not made it by since opening day, you will probably be pleasantly surprised with the changes. Beer festivals included the Alpine Village in Torrance beginning their 47th Annual Oktoberfest, complete with German food, German biers and oompah party bands and Rock & Brews held their 4th Annual Local Craft Beer Fest at their Rock & Brews Garden on Main in El Segundo. The month of September ended with the 6th Annual LA Beer Week which meant every craft beer location from Naja’s Place in Redondo Beach to Beachwood BBQ in Long Beach and everywhere in-between had something special going on. I guess when it comes to beer October has to been one of the top beer months. The only thing is that the weather this year did not really cooperate as there were plenty of 100 degree days to make you completely ignore those big beers that you been saving for those cool October evenings. The month began with San Pedro Brewing Company celebrating 15 years of doing business in San Pedro. Originally opened in San Pedro in 1999, the brewpub was essentially a bar and sandwich shop when James Brown initially opened up shop; two years later, they started brewing. Current Head Brewer Jason Welke has been there about eight years and has accumulated more than 40 medals at local county fairs, commercial beer competitions and international beer festivals. While Alpine Village continued with their Oktoberfest, I had an opportunity to cover the first ever Vegan Oktoberfest in Santa Monica. This event was very well attended, in fact, it was probably a little too well attended as the organizers oversold the event. It seemed that there were as many people there for the vegan foods as there were people there for the beer and perhaps this was not a great mix as the first timers to a beer festival seemed a little upset that the beers were tasters instead of large German steins. 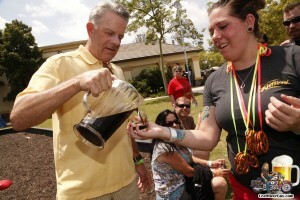 The organizers plan on holding this event again in 2015 so it will be interesting to see how they pull it off next time. One craft beer festival that has been going on for five years now is the Beer, Art & Music Festival, commonly known as BAM Fest; and this is a beer festival that has worked out any bugs they may have had. I have been attending BAM Fest since 2012 and the event just gets bigger and better every year. While most craft beer festivals that are fundraisers usually result in the breweries bringing their core brews, BAM Fest is so popular that it is not unusual to see a few one-offs make an appearance. If you have not had the chance to attend BAM Fest yet I urge you to mark your calendar because this is a great event. Other highlights from October would include my first return to MacLeod Ale Brewing Company since they officially opened their doors in June; and Smog City’s release of the first of their bourbon barrel-aged beers, Goldie, a Belgian Golden Strong Ale. 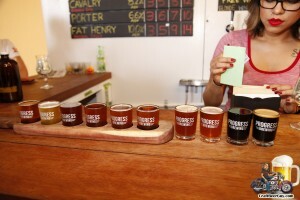 Smog City continues to make an impression in the South Bay craft beer scene. While 2014 may have been rapidly coming to an end, the craft beer just seemed to become more abundant. November was non-stop beer goodness making it a challenge to keep up, but I was up to the challenge. The month started with the Shelton Brothers, importers and distributors of small batch beers and ciders from all over the world, bringing The Festival 2014 to the Port of Los Angeles in San Pedro. There were beers from all four corners of the world with close to 100 breweries represented and close to 400 different brews available over the course of four sessions spread across two days. This was truly a one-of-a-kind event for Los Angeles and I hope that the organizers met their goals because this is definitely a craft beer event that I would like to see become a staple around here. The following weekend saw the return of the Alpine Kraft Bierfest which was the third annual for Alpine Village. This event is near and dear to my heart as I have watched it grow from the first one in 2012 that had almost as many beers as they did attendees to the two day event that it was in 2014. With more 40 breweries pouring what must have been well more than 100 brews, there really was something for everyone. I have enjoyed helping this grow and I look forward to seeing what is in store for 2015. The next day, Abigaile Restaurant and The Brewery at Abigaile in Hermosa Beach hosted their inaugural Novem-BEER-Fest beer garden, featuring 20 of Los Angeles’ finest craft breweries which make up the Los Angeles Brewers Guild. There was lots of good food and craft beer and gave attendees the opportunity to sample brews from many of the new production breweries that have opened recently. Other highlights would include the Firestone Walker tap takeover at Brewco Manhattan Beach to commemorate Firestone’s 18th anniversary; Bottle Logic’s bottle release of Darkstar November and the annual Bourbon County Black Friday release which I attended at Bar 225 which is inside Whole Foods Venice. 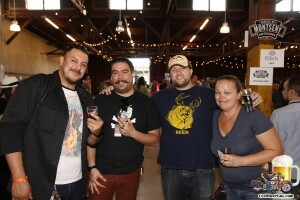 This is the second year that Goose Island’s annual event included the Los Angeles area market and the beer geeks took advantage of the opportunity to purchase and drink the dark goodness. December is not quite over yet, but for the purposes of this review of the highlights I will be sure to come back and update the article if something amazing happens in the next four days. In December I finally made it over to Three Weavers Brewing Company to check out their impressive operation and try more of their brews. This will be an interesting brewery to watch grow and with one visit to their tasting room you cannot help but notice that it was built with the intent of growing. The following weekend I had a couple of events to photograph out in Irwindale so I decided to use the opportunity to visit two new craft breweries in neighboring Covina; REV Brewing Company and Alosta Brewing Company. REV Brewing had just opened the prior week, but their Brew Master, Erick “Riggz” Villar, has been a home brewer for 10 years and was most recently the head brewer for Ohana Brewing. He has some interesting recipes and really likes to use Munich Malts which puts a distinctive note to his beers. Alosta Brewing has been open for a little over a year and had 10 brews available on the day of our visit. Their Annum 2014, a wheat wine aged with vanilla beans in brandy barrels for nine months is dangerously good with a fairly well-hidden 10.3 ABV. They also have a blonde, a couple pale ales and saisons, a tripel, an ESB and an American Porter. Their Batch 1 Redux American Pale Ale was my personal favorite. December also saw the long-awaited soft open of Phantom Carriage become a reality, and by all accounts it is going to be a hit as the following weekend saw lines stretched down the street to get in. 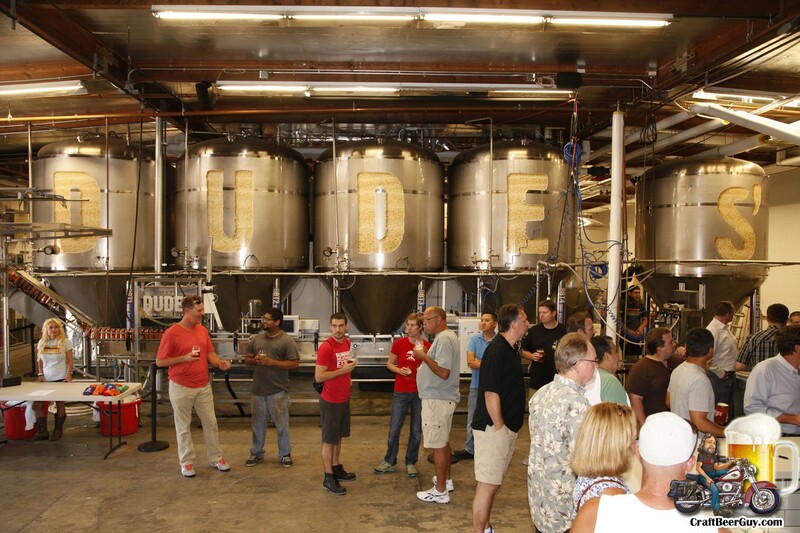 El Segundo Brewing Company held their Crude, Cocoa and Donuts Christmas Party along with their Second Annual Ugly Sweater Contest. The Ugly Sweater Contest first place winners Matthew and Jennalee won a penny growler fill for every month of 2015, a set of glassware, an ESBC shirt and hat. Second place winner Z won a penny pint for every week of 2015. I took third place winning a tour and tasting for four. Absolution Brewing Company had their first bottle release this month; the Wanderin’ Star Bourbon Barrel-Aged Imperial Porter. The limited release Wanderin’ Star Bourbon Barrel-Aged Imperial Porter comes in individually numbered 750ml champagne bottles and are available at the Absolution tasting room for $18.00 each. December is the month of giving for many, and craft beer drinkers gave and received great beer in return. The definite highlight for December was the Holiday Bottle Share at King Harbor Brewing Company. This bottle share was a little different than any bottle share I have attended previously in that the beers were all donated by local craft beer aficionado and beer hoarder Chad Hazen. 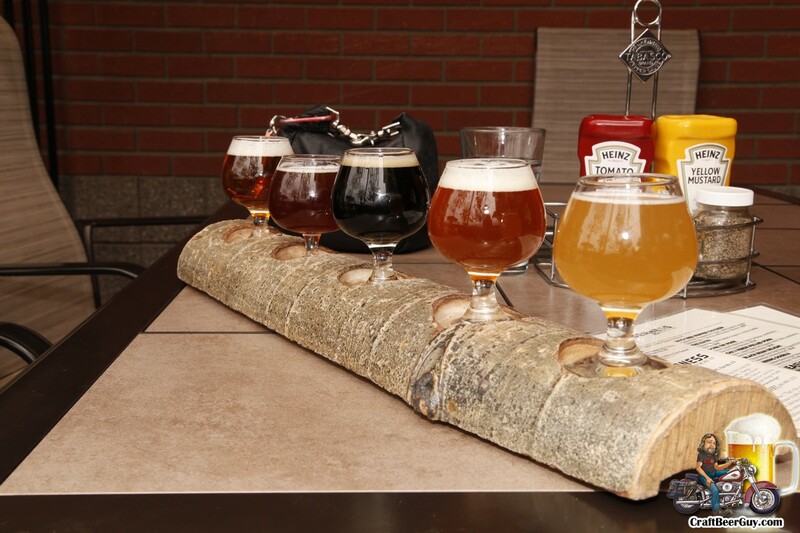 With a limit of 50 attendees and more than 80 rare brews made available, the proceeds from the event were donated to the Richstone Family Center which is located in Hawthorne. I found out later than the company Hazen works for matched the monies raised so the Richstone Family Center had a very nice donation made to them as the result of Hazen’s generosity. As you can see, 2014 was a very good year for craft beer fans and I really enjoyed bringing the action to those that were unable to attend on their own. I think 2015 is going to be even better; I hope to see you along the way. Cheers!